This research is based upon an in-depth analysis of FDIC filings made by financial institutions. It will be supplemented by information from Spectrem’s ongoing monthly research with HNW investors focused on their likelihood to establish a trust. 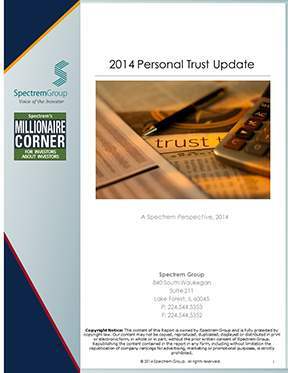 It will also review current trust usage from an investor’s perspective, as well as include insights from Spectrem’s 2014 $25 Million Plus Investor report.